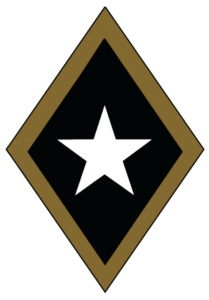 Phi Gamma Delta Fraternity was founded May 1, 1848 at Jefferson College in Canonsburg, Pennsylvania. The fraternity was founded by six men, respectfully referred to today as the “Immortal Six.” The men were John Templeton McCarty, Samuel Beatty Wilson, James Elliott, Ellis Bailey Gregg, Daniel Webster Crofts, and Naaman Feltcher. The brotherhood these men created over a century ago set the foundation of fraternity that Phi Gamma Delta still follows today. Phi Gamma Delta, also referred to as Phi Gam or FIJI, has initiated over 162,000 brothers since 1848. There are 107 chapters and seven Delta Colonies located in the United States and Canada. The Zeta Chapter was founded at Indiana University on May 22, 1871 by seven young men, The men were James Shannon Nave, Columbus C. Nave, Robert C. Chandler, John Slaughter Newby, Richard D. Simpson, Alfred Harrison Harryman, and Sanford H Drybread. The fraternity held chapter meetings in multiple locations, until June of 1902, where they became the first fraternity at Indiana University to own their own chapter house. The house was located on Third Street. In 2016, a new house was constructed on Woodlawn Ave.